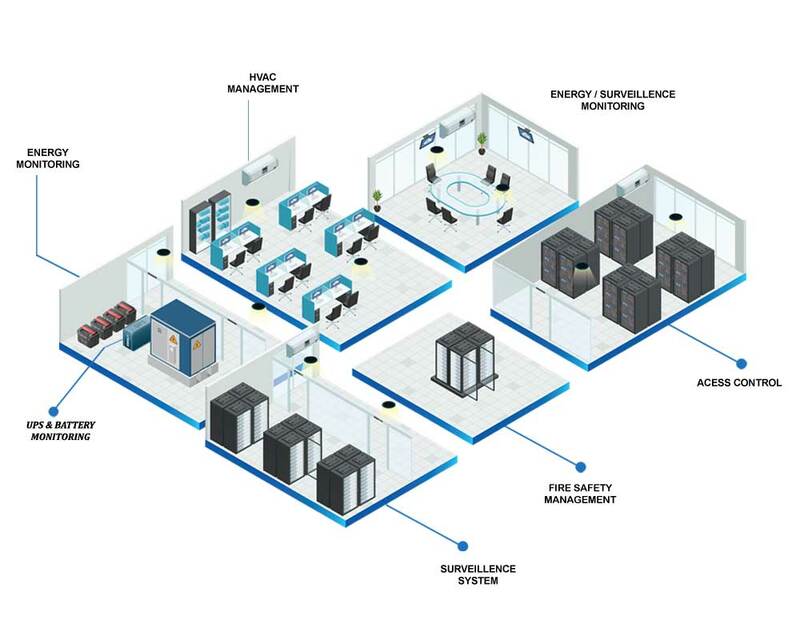 Data centers, Industrial complexes, Large commercial buildings, Malls and other public utility spaces have large energy bills in addition to being business critical in nature. Loss of infrastructure services like power and cooling for even a few seconds can cause millions of dollars in losses and damaged reputation and brand value. An integrated energy, environment and security management solution with a centralized NOC facility in-the-cloud combined with a 24/7×365 alerting feature is essential for the safety and business continuity of such infrastructure. 6th Energy’s IoT solutions for green/smart buildings provide 24/7×365 monitoring of energy, environment and security over the cloud with local as well as global alerting feature leading to enhanced energy and asset security as well as business continuity.